Tullycore is a small townland, south of Killinchy and Ballymorran, in County Down. It is close to Strangford Lough, but doesn’t quite reach the water. 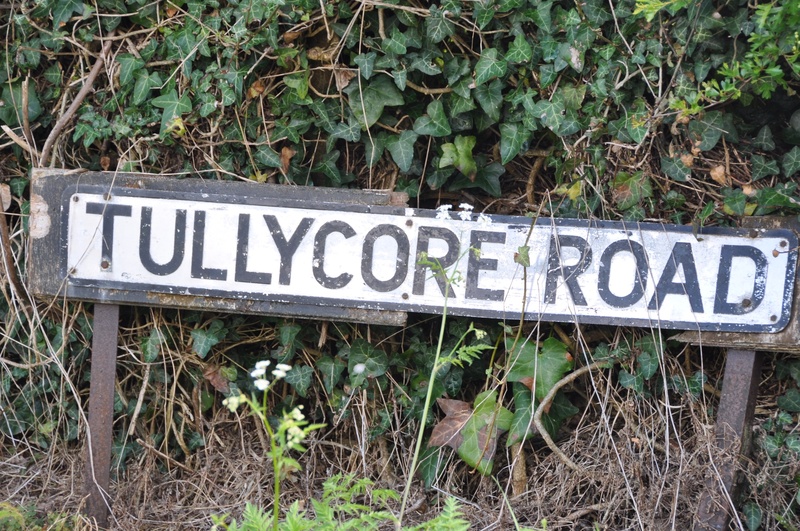 According to the PLACENAMESNI website, the name Tullycore comes from the Irish An Tulaigh Chorr meaning “the prominent hillock”. There are only two roads in the townland – Tullycore Road and Ballymorran Road. 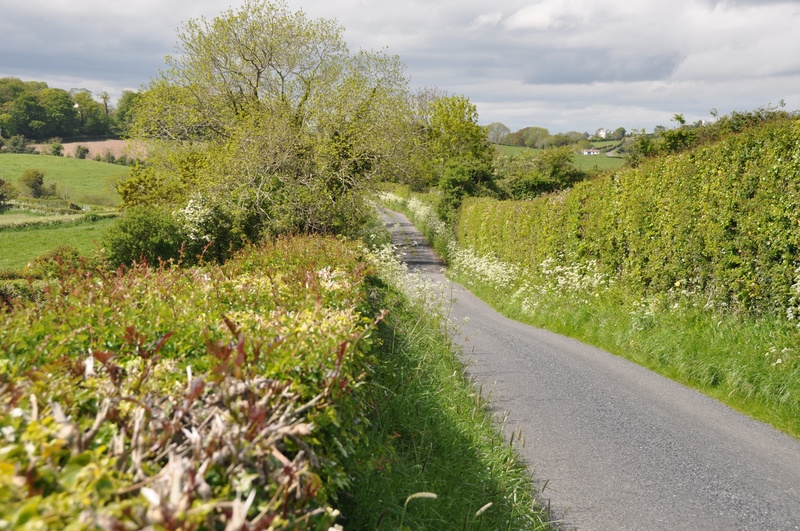 Both are narrow and picturesque; and the Tullycore road (pictured below) forms the western boundary of the townland. Here we have the gateway to Tullycore. In May 2015 there was a mass of cow parsley (Anthriscus sylvestris) in bloom. 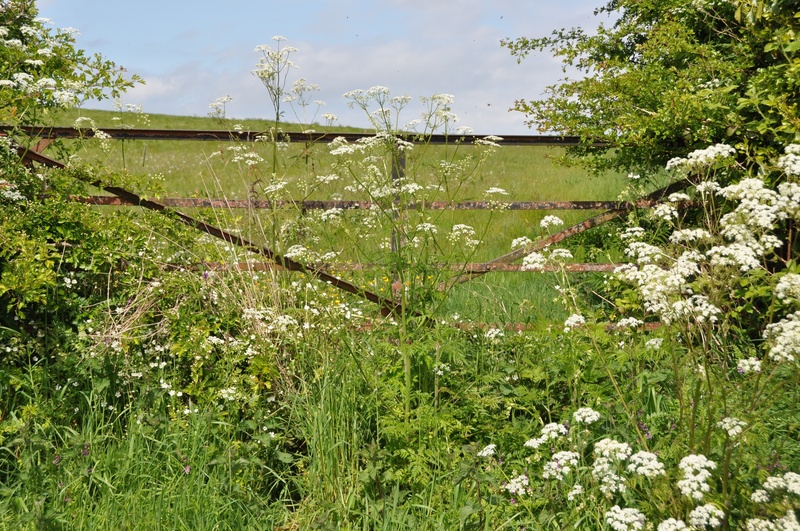 The increased abundance of cow parsley in Britain and Ireland may be damaging the diversity of our wildflowers, but other plants are still going strong in Tullycore. 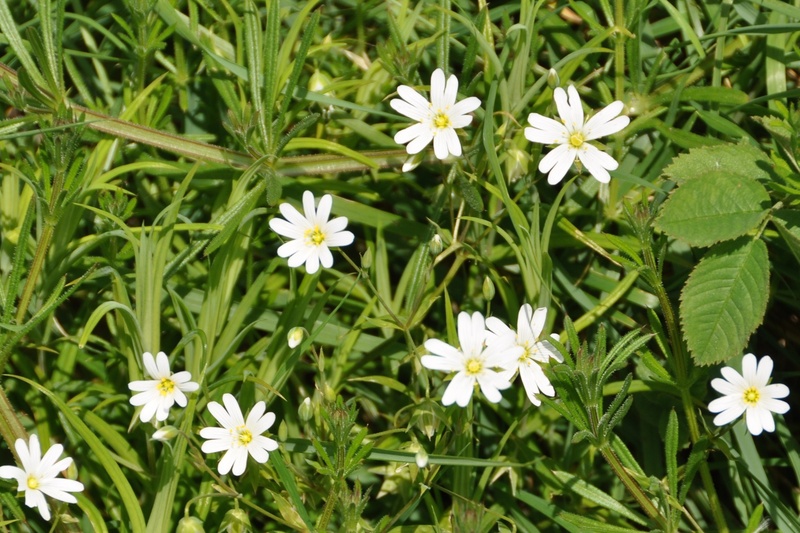 Are you familiar with stitchwort (Stellaria)? And can you tell the difference between the Greater and Lesser varieties? If so, your help in identifying the flowers in the next photo is most welcome! I made the stitchwort identification with the help of the Irish Wildflower site. An article warning about the boom in bloomin’ cow parsley. An article in The Guardian about stitchwort. Another article about cow parsley, which offers alternative names like “Queen Anne’s Lace” and “Devil’s Porridge”.